Fight for justice! And term limits! And maybe less high-fructose corn syrup in baby food! 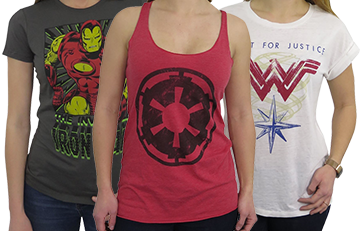 Officially licensed and subtly sheer Wonder Woman t-shirt. 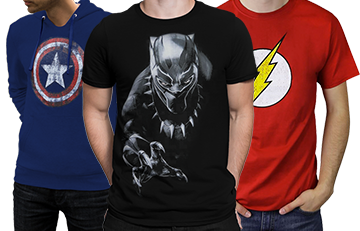 Made from a soft blend of 52% cotton and 48% polyester. I'm sorry -- is there something else we should be fighting for? I mean, sure -- we could fight for peace, love, and perhaps more chocolate ice cream in an ice cream cake. 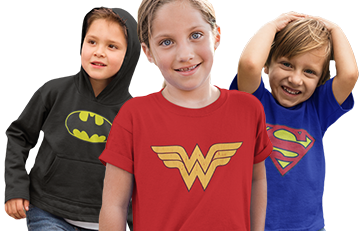 But what we really need to focus on here -- as pronounced by our Wonder Woman for Justice Women's Roll Sleeve T-Shirt -- is JUSTICE! A modern Wonder Woman symbol, a winding Magic Lasso, and the very star adorning her tiara. White, soft and sheer, this tasteful and articulate Wonder Woman t-shirt gives you one very specific cause to rally behind...until the next t-shirt.